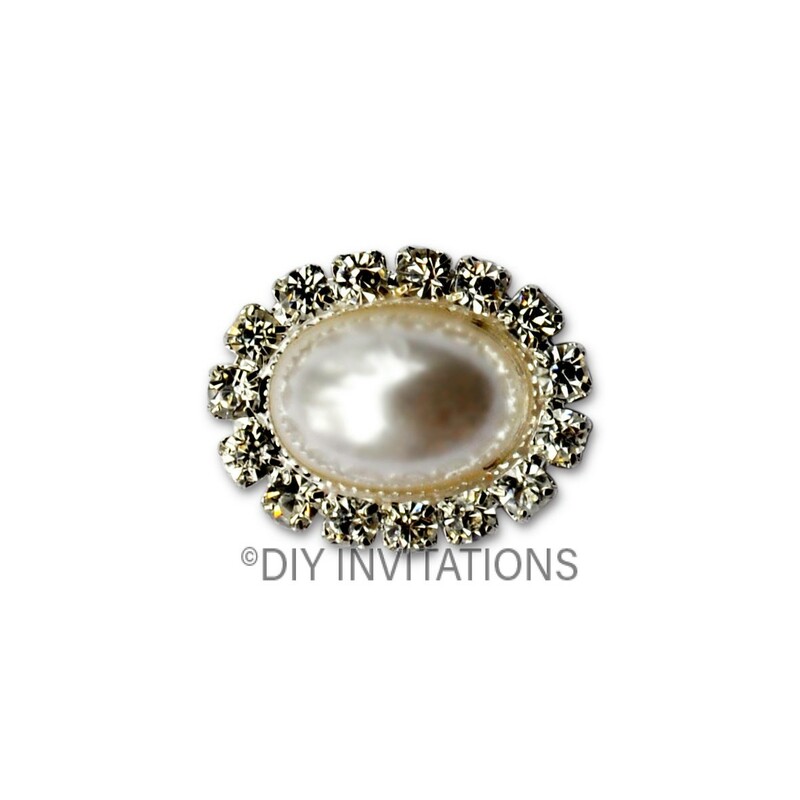 Oval Pearl Cluster Embellishment: This sweet, little, oval cluster will complement any handmade creation. The 15mm long, centre oval pearl is boarded with 14 crystal clear, A Grade diamantes. This cluster comes pre-glued for your convenience and measures 20mm x 15mm and is 6mm H.